Australia is facing a power crisis, and western Sydney residents are feeling the pinch as bills continue to climb. 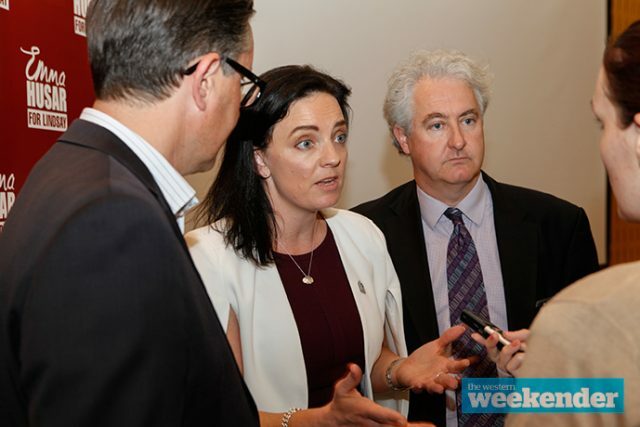 Federal Member for Lindsay, Emma Husar hosted Shadow Minister for Climate Change and Energy, Mark Butler, and NSW Shadow Minister for Resources and Energy, Adam Searle, for an energy crisis forum and round table this week to hear from concerned local residents and businesses. “Since July 1 this year, NSW has seen another huge jump in their power bills,” Ms Husar said. “We had a couple of pensioners here today, and a few people who have disabilities who don’t always have the most extensive incomes that are facing huge jumps in their power prices. Mr Searle warned we are in the territory of an “energy crisis” as residents face skyrocketing bills, with the Liberal Government not acting fast enough. “When you’re getting 20 per cent increases from July 1 on top of significant increases from previous years, the Government needs to get back into the business of smartly regulating,” he said. 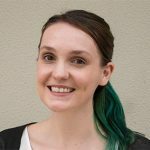 “When you ask (Minister for Energy and Utilities) Don Harwin in Parliament, as I often do, what are their actual plans, all you get is waffle. Mr Butler and Mr Searle agreed that right now there needs to be an approach at both Federal and State level, to put downward pressure on wholesale power prices. Mr Searle added that every piece of machinery wears out and we need to plan for the future. “Our coal fired power stations today provide 80 per cent of our electricity. In 20 years, they’ll all be gone,” he said. Ms Husar also voiced her concern for locals who will be tempted to turn their air conditioning off this summer, despite frequent hot and humid days that Penrith is likely to face. Meanwhile, NSW Minister for Energy and Utilities Don Harwin spoke to local small business owners about their concerns surrounding rising power bills last week. Mr Harwin said a combination of factors have caused power bills to rise. “It’s a complex picture that’s emerged over a period of time. It’s both State and Federal’s fault, and both parties. There’s plenty of blame to go around,” he said. 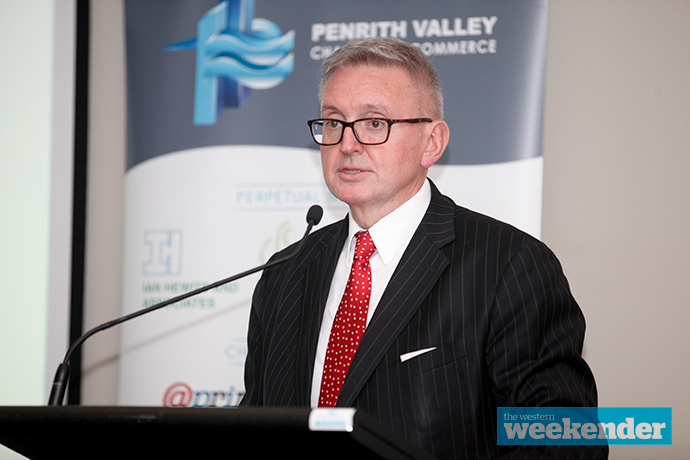 Speaking at a Penrith Valley Chamber of Commerce function, Mr Harwin expressed praise for solar energy and battery technology. “We think that homes and businesses with solar and, of course, the new battery technology will supply 45 per cent of our power by 2050,” he said.